Princeton University Press, Princeton, 1992. Boards. 8vo - over 7¾" - 9¾" tall. Human bones found at site 5MTUMR2346 located in southwestern Colorado indicate prehistoric cannibalism. (The bones are dated to A.D. 1100). 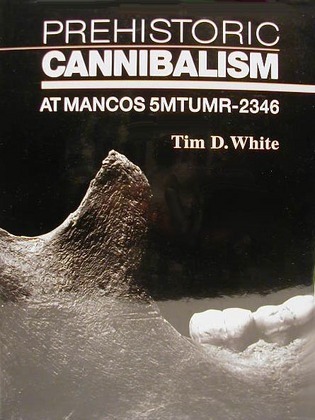 Tim White applies and introduces anatomical, taphonomic, zooarchaeological and forensic methods to his investigation of prehistoric human behavior. Illustrated with numerous b/w photographs. used.